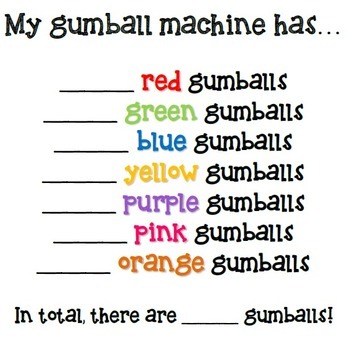 Students were given gumballs in a cup and sorted though each color. Students wrote the numerical amount next to each color. 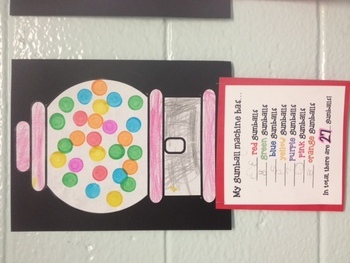 Students assembled their own gumball machine and then used dot markers to complete it. Their analysis hung right beneath their craft.